Breakthrough Basketball Shooting Camp in Linn, Missouri! With this 3 day camp in Linn, Missouri your shooting percentage will go up, your mechanics will improve, and your shooting range will increase! In addition to all of this, we will focus on confidence, mental toughness, hard work, smart work, and other intangibles to develop great shooters. 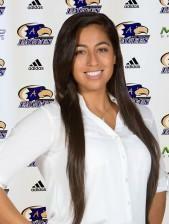 Torie played for Avila from 2008 - 2012. She was the team's starting point guard, and one of the best defenders in the nation, earning Heart Defensive Player of the Year honors in both her junior and senior seasons. Murillo led the nation in steals in each of her final two seasons for Avila, finishing with 164 as a junior and 132 as a senior. She finished with a school record 430 steals in her career to go along with 912 points, 650 rebounds and 540 assists. Otherwise there is a $97 fee to attend as an "observing coach". You will get to learn new drills and techniques from Torie Murillo, just like all the players and other coaches in attendance. Visit this link to reserve your spot as an observing coach. If you have any questions, don't hesitate to email us or request a phone call.